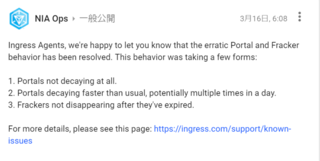 Agents, we appreciate your patience and understanding as we work on a replacement for Google+. 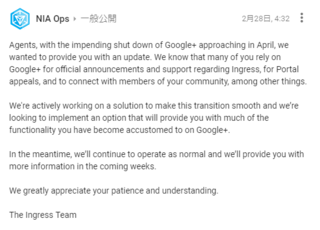 With the official shutdown of Google+ coming next week, we wanted to give you some insight into what we've been working on. We'll be posting an update on our progress in a few weeks to keep you in the loop on what to expect and when. Thanks again for your patience and understanding. 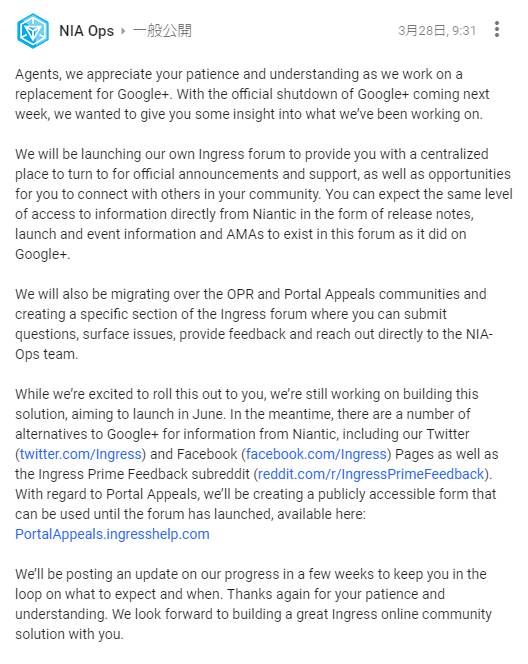 We look forward to building a great Ingress online community solution with you.